Do you want to study abroad but are not sure where to start? 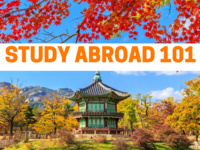 Attend our Study Abroad 101 information session! We'll go over our different programs, scholarships and funding, and what the steps are to study abroad. Open to all students and registration not necessary!